The key ingredient setting brunch apart from breakfast is the delicious addition of time; brunch is not a quick bite on the go, or the toast crumbs littering your computer keyboard every morning at work. Brunch is something to be savoured, a full sitting and an occasion for something special. 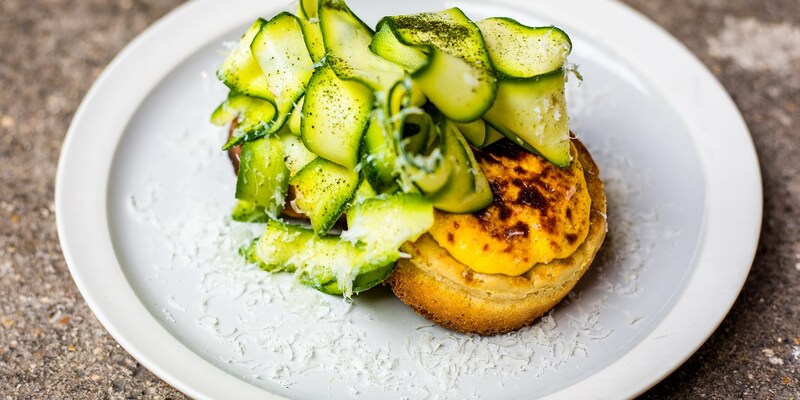 From Nathan Outlaw's Kedgeree to buttery Kippers on toast by Will Holland, browse our collection of brunch ideas to get inspired for your next weekend blow out. As if brunch needed another thing going for it, it's also one of the rare occasions when the sweet toothed can hold their head up high, launching straight in with the syrup without going through the motions of a main meal first. Try Shaun Rankin's American pancakes for a gooey, nutty treat or, for something a little more delicate, Pascal Aussignac's Lemon and raspberry crêpes are the perfect dish. So that more pancakes end up on your plate than the floor be sure to have a look at our advice on how to make pancakes before you start. Eggs are an ever welcome guest to a brunch party, and there are plenty of delicious egg recipes to be found in this collection. Anna Hansen's Eggs royale recipe includes tea-smoked salmon and a tangy yuzu mayonnaise, while Matthew Tomkinson pairs his elegant Poached duck egg recipe with asparagus, ham and delicious mustard dressing. If you can't decide between sweet and savoury - a common brunch menu dilemma - there are plenty of ways of blending the two. Peter Gordon's Spiced banana French toast is served with smoked bacon and chilli labne, while Adam Gray serves his Pancakes and roast ham drenched in maple syrup. Finally, for anyone looking for something to ease the morning after the night before, Bruno Loubet's peppy Brunch Mary, a take on the classic Bloody Mary cocktail, will leave you feeling human again - there's no cure like hair of the dog!